To cover the costs of its operation, maintenance and development, the testing facility is available to industry for a limited amount of commercial consulting. In line with the objectives listed above, the facility is run as a nonprofit concern. 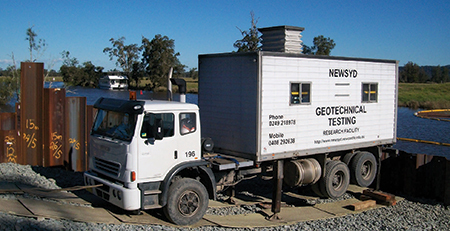 Commercial rates for various tests may be found by contacting our professional geotechnical testing engineer. Skid resistance testing of pedestrian surface.